AI watches have indicated that Judge Lopez seemed to have a soft spot for Rodriquez who hoped to be the first ever Latino American Idol. Unfortunately Karen didn’t have the vocal chops to compete against some of the other strong contenders like Pia Toscano, Casey Abrams, James Durbin and Lauren Alaina or get enough viewer votes to keep her in the competition. Rodriquez, from some views looked very much like a young Jennifer Lopez. The contestant also told the media her dream duet partner would be Marc Anthony who just happens to be married to the American Idol judge. I originally blogged about Karen showcasing natural curls during her earlier appearances. As the American Idol season progressed Karen’s hair became straighter and sleeker. An ongoing debate in the world of hair care involves the pros and cons of washing hair when bent over at the waist so the hair falls basically upside down. In other words the very bottom layers of the hair is exposed to the water and cleansing formula while the top layer of the hair is only exposed through a trickled down effect. Why would someone want to wash their hair upside down? Some fans of this method believe when the cleansing products are applied to the bottom layers of the hair versus the top, there is less overall damage. Afterall, the top layer of anyone’s hair receives the most consistent assault from sun, wind, environmental toxins, hot styling tools, brushing, combing and general styling methods. Other critics of the Upside Down method believe the hassle of detangling hair which is washed upside down is not worth the benefits of protecting the top layers of the strands. Others argue that since the top layers of the hair receive the most damage and potential dirt and toxins, those layers need the direct application of water and cleansing products. Fans of the Upside Down Cleansing Method believe it would help preserve chemically colored, highlighted, low lighted or similarly treated strands. Some types, textures and lengths of hair are more compatible with being cleansed upside down than others. Hair which is stick straight, fine or thin or with only a little bit of wave and texture is less prone to major tangling than strands which are naturally curly, tightly waved, coiled or tightly textured. Haley Reinhart has been singing since she was 8 years old and now she’s in the competition of a lifetime. The 20 year old Wheeling, Illinois blonde was on of the final 10 picked last Thursday on American Idol (AI). Although 13 AI contestants will compete due to the addition of the judge’s wild cards, Haley was a standout and part of the original 10. Haley has a lot of advantages including her gorgeous long blonde wavy/curly tresses. If you’re an American Idol fan you understand that ultimately the winner has that total package of great talent, stage presence and image. When a finalist is lacking in one of the key ingredients the AI coaches step in and help them fine tune their game face. It will be interesting to see how Haley will transform if she continues to do well in the competition. Already the beauty has tons of fans. SANTA BARBARA, French-born Fabrice Allain has launched ACTIVAROMA and introduced an elegant line of 100% all-natural skin and hair care products based on the newest botanical phenomenon of pure Moroccan Argan Oil. The exquisite line of skin and hair care products developed by ACTIVAROMA includes Facial Oils, Bath and Body Oils, Floral Waters, Pure Essential Oils and the Baby Belly collection which are all based on pure Moroccan Argan Oil. 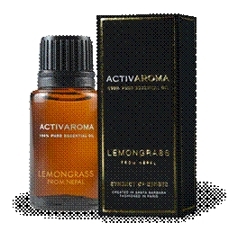 “Created in Santa Barbara – Fashioned in Paris,” ACTIVAROMA is a holistic approach to antiaging, which fuses the connection between beauty and health and embodies the ancestral traditions of aromatherapy while reviving the French tradition of blending natural, and seductive, fragrances. The latest research has also revealed that Argan Oil restores the skin’s water lipid layer, increases the amount of nutrients and oxygen in the skin’s cells, neutralizes free radicals and helps protect skin from the sun’s harmful rays. Miami, FL (PRWEB) March 8, 2011 – Unnique today announced the launch of its 100% formaldehyde-free hair treatment, Amino Keratin. A first of its kind in the beauty industry, the non-toxic keratin treatment can be applied on children ages 12 and older as well as pregnant or nursing women. Formulated with nano particles of an exclusive blend of amino-acids, the treatment helps reduce frizz, straightens and heals the hair and is completely safe to use on all hair types. The formula of Amino Keratin is designed to add shine and manageability to frizzy, curly hair by naturally relaxing and smoothing each strand. Amino Keratin is also non-irritating, does not cause allergic reactions and can be reapplied frequently without modifying the hair structure or causing any damage. The results of Amino Keratin last between six to eight weeks and can be reactivated by heat, compared with other keratin treatments that last 12 to 16 weeks but contain formaldehyde.